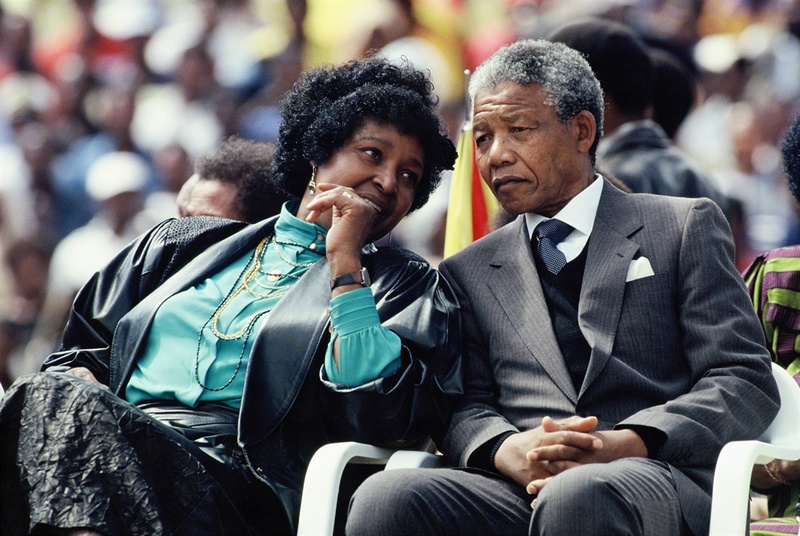 Winnie Mandela with her then husband Nelson Mandela at a rally in Soweto on February 13, 1990. (Photo by Georges De Keerle/Getty Images). Africa and the world at large are mourning the death of a great South African anti-apartheid activist, Winnie Mandela. Nigeria's president, Muhammadu Buhari has joined others leaders to pay tribute to the renowned freedom fighter. Winnie Mandela died on Monday in Johannesburg, aged 81. A spokesperson to the president, Garba Shehu, said Winnie’s departure is a huge loss to the continent of Africa. “President Muhammadu Buhari has described the passing away of South-African anti-apartheid icon, Mrs Winnie Madikizela-Mandela, as a huge loss to Africa of a courageous woman. “The President noted that she was a woman of uncommon determination, steadfastness and perseverance who held aloft the torch of the struggle against institutionalised discrimination even while her ex-husband, the late Madiba, President Nelson Mandela was incarcerated. The President noted that she was a woman of uncommon determination, steadfastness and perseverance who held aloft the torch of the struggle against institutionalised discrimination even while her ex-husband, the late Madiba, President Nelson Mandela was incarcerated. Winnie had reportedly been very ill for years and was recently admitted to a hospital with a kidney infection. She died in Johannesburg's Milpark Hospital surrounded by family members.